Flash animation has been one of the most popular forms of web-based animation for a long time now, and there are some truly funny and fascinating Flash videos out there. Assuming you’ve seen one and would like to save it to show your friends or family however, you’ll realize that there is no easy way to do so. Rather than resort to complicated workarounds, the easiest solution would be to simply record the video with screen capture software. Because screen capture software allows you to record your screen, all that you really need to do is record your screen while the Flash video is playing and you’ll then be able to save it. Set the capture area to encompass the Flash video that you wish to record. Ensure the audio source is set to system audio so that it records the audio from the Flash video. Start the recording by pressing the ‘REC’ button, and stop it when the video is over. Save the video using one of the presets that will automatically optimize it for the device or platform that you’re using. Doesn’t that sound easy enough? 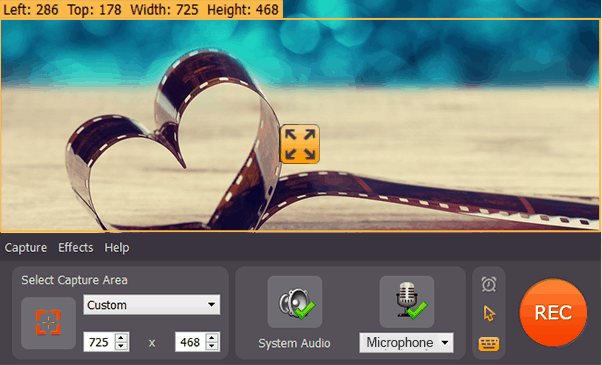 If you like, you could even put some of the other features of the Movie Screen Capture Studio to use and capture mouse and keyboard actions, edit your video to trim unwanted footage, insert stylish special effects and filters, or a host of other options. Because it is so user-friendly, you should have no issues taking advantage of the full arsenal of features that it brings to the table. By experimenting a little bit, you will find that you’re able to not only record all the Flash videos that you could ever need, but also create some truly professional-looking videos too. Try it out firsthand and you’ll see just how much the Movie Screen Capture Studio stands out. Whether you’re a beginner or a more experienced hand, it will definitely be able to give you exactly what you need to get the job done.